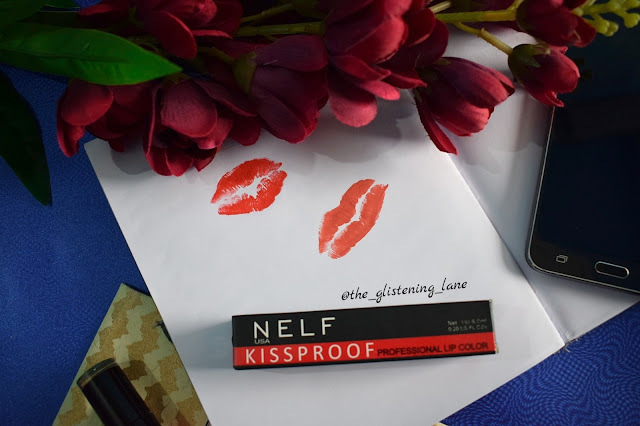 Today I’ve decided to review two of the lipsticks that I have in my vanity from Nelf USA. I’m a legit #lipstickshoarder and any day you ask me for sharing a shopping haul, one lipstick has to be there! Brand has never been a restriction, for that matter I love my inexpensive dupes of a high-end brand. Some time back I was also on a hunt for Smashbox Cosmetics liquid lipstick shade “Chill Zone” and it happened to rest via a local cosmetics store. 😅😆 You can check out the shade I’m talking about HERE. 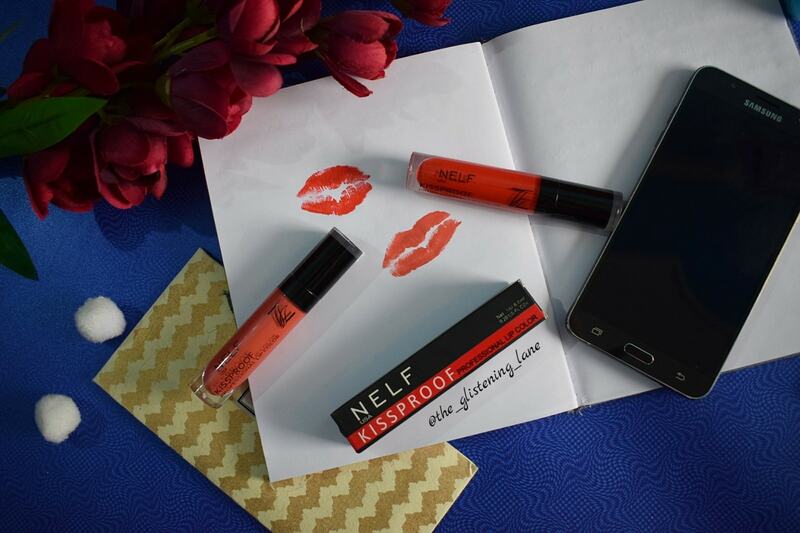 Nelf USA Cosmetics founded in 2004 at USA, named after an aspiration of women to look great in four leagues i.e. NAIL, EYE, LIP & FACE; uniquely offers an exclusive collection of enduring line of trendy makeup. 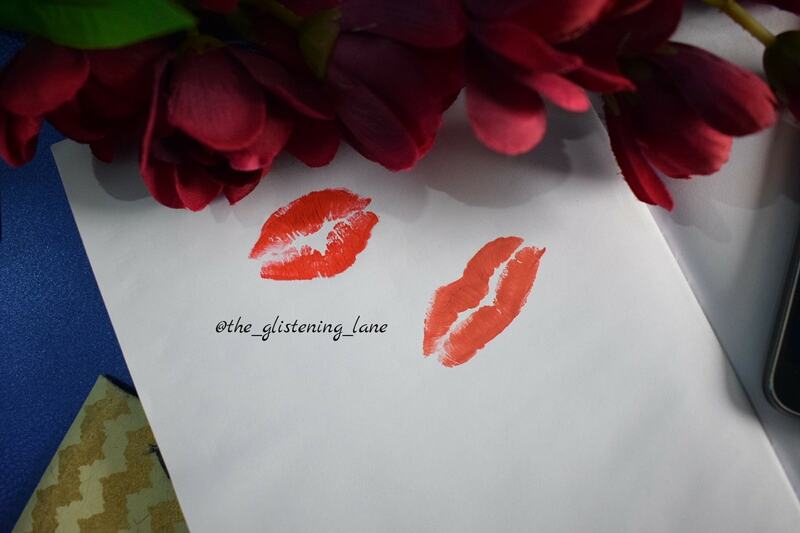 Established in 2014 in India “Redefining Beauty & Makeup” trends all over the country. With over more than 300 Promoter lead stores in 20 states of India, 3500 retail store and having on line presence with all beauty portals; we have been awarded as “Popular International Cosmetic Brand” by “Popular Brand Awards” in 2015. The entire colour scheme is conceptualized, designed and created in consultation with USA Fashion & Colour experts. Nelf USA also offers an extensive range of HD Makeuo line with over 1200 makeup shades, known for its rich pigments, high colour payoff, skin friendly and easy accessibility at all our stores. Nelf strictly follows safety and quality guidelined. All our products are hypo-allergic, non-comedogenic and opthalmologically tested to ensure a safe and quality product delivery. Our research and development expert team develops new formulas and technologies to produce a par excellence product line for our esteemed consumers. 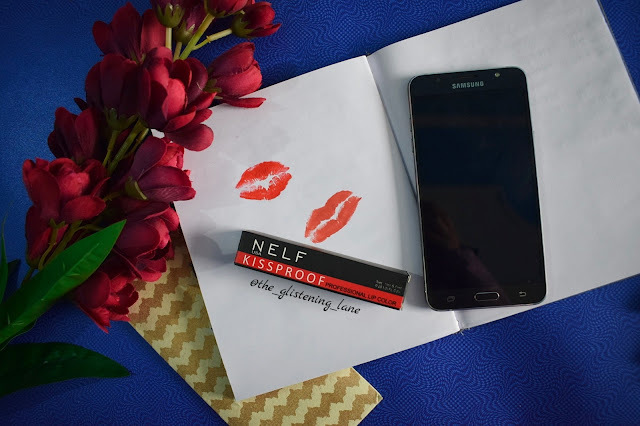 This is what places Nelf USA in its own panache and distinguishes the line as a leader in this extensive colour cosmetics industry. 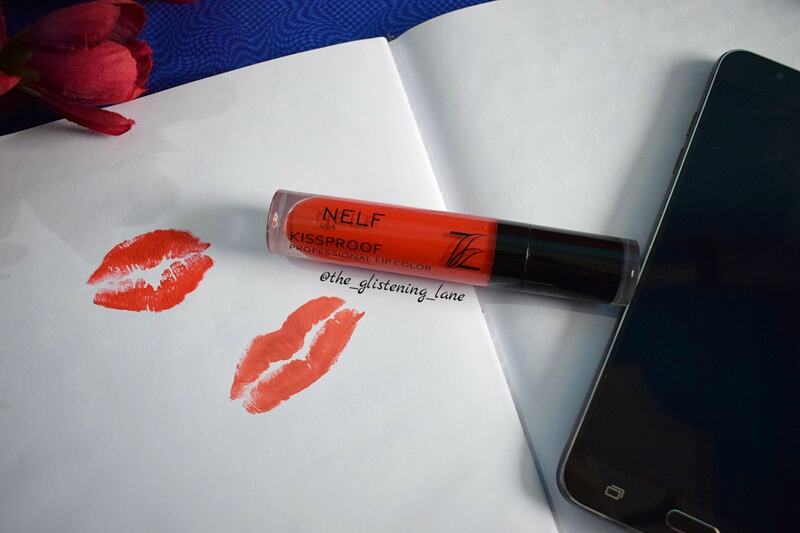 Nelf Kiss Proof vitrine astonishing 15 shades for a daily to professional and professional to a party look. Waiting to hop-in your makeup bag! This perfect matte texture is non-transferable. 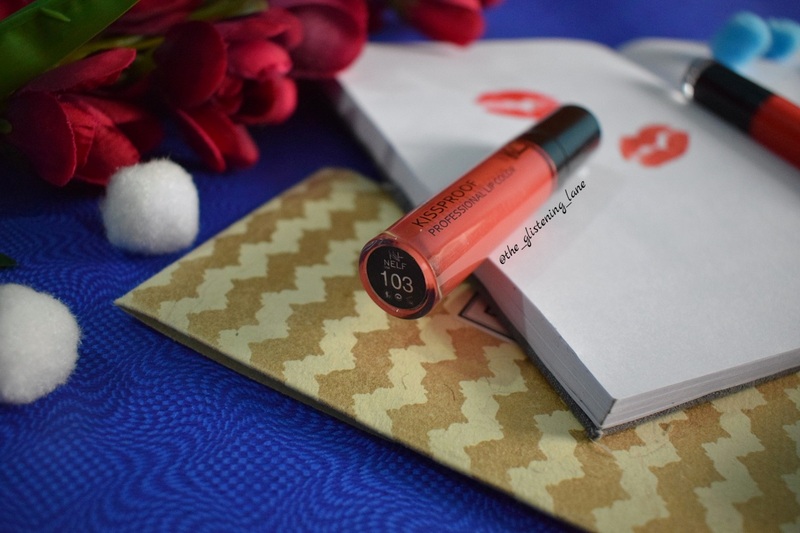 These are highly pigmented for an instant pout matte lip. 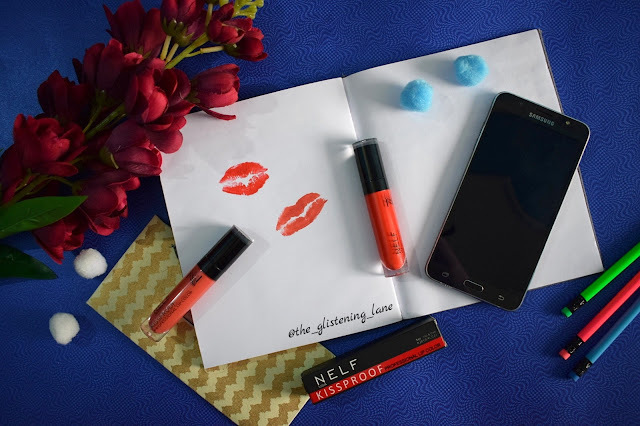 The exceptionally long wearing lip colour contains moisturizing ingredients for a comfortable and silky smooth feel that does not dry out the lips. 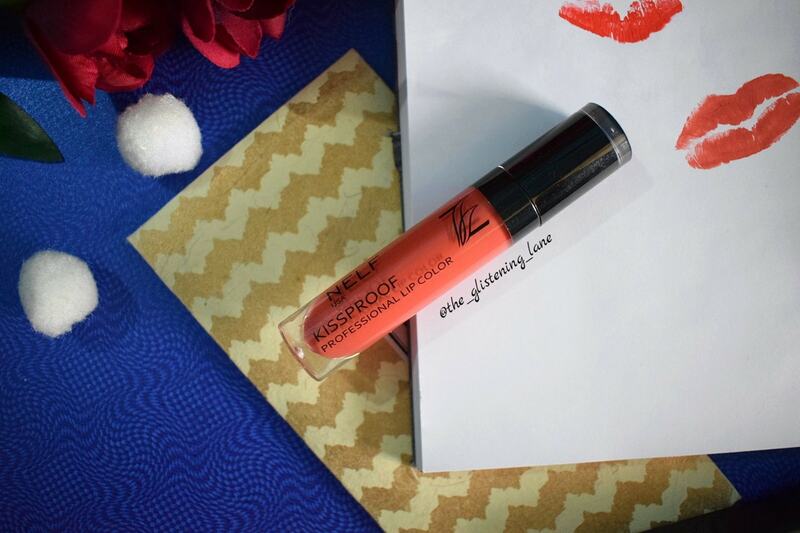 Apply directly to your lips with precise applicator. Ingredients: Not mentioned over the product, packaging or the official website. The liquid lipstick comes in a cylindrical transparent packaging through which you can easily view the amount of content that’s left inside. The packaging is pretty much compact and travel friendly. Applicator: The applicator is somewhat straight and not dissected at an angle. Application with this applicator is quite convenient as such and there’s no complaints concerning it. The wand isn’t too stiff which makes it easier for outlining and filling in the colour. You might not even need a lip pencil until and unless you’re someone who goes into extreme details while doing the lips. Opacity: The colour intensity is medium to high coverage. Even with a single layer, you get a nice coverage of the lipstick and in case you want to build up, you can surely go ahead and do that. Formulation: The formulation of these lipsticks is quite smooth but the lipstick goes matte as soon as you apply it and this how usual liquid lipsticks work! Onto the lips, these feel quite lightweight and there’s no stretchy feel as such. But I happen to feel very slight uneasiness onto the corners of the lips. So make sure you hydrate your lips before applying this lipstick. Longevity: I wore these lipsticks to office in order to check their longevity. I applied these around 8:30 a.m. and these lasted me till 1:30 p.m. approximately. This means that they stay nearly 4-5 hours depending upon what you happen to eat or drink. Over water and coffee mugs, I noticed little transfer of the colour onto the mug/bottle. But while lunch, the lipstick literally vanished even though I had nothing too oily but stirred fried rice, that too with a spoon. Hardly any colour was left and it felt weird so I completely wiped it off after lunch hour.